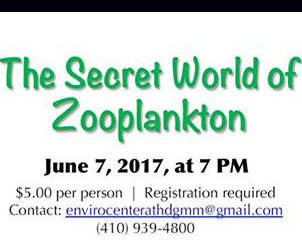 Explore the mysteries of zooplankton, microscopic critters living in the Bay. Learn their life habits in this interactive lecture and lab for all ages. Bring your cell phone to take photos. Register now.